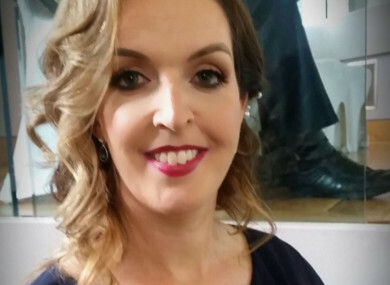 VICKY PHELAN, THE terminally ill Limerick woman who brought the cervical cancer scandal into the public eye, has said the least the government can do now is pay for her treatment. Vicky Phelan is currently undergoing clinical trials in a bid to keep her alive for as long as possible. In January of this year, she was given between six and 12 months to live. Speaking to RTÉ Radio One’s Ray D’Arcy Show this afternoon, Phelan said that she currently has to pay the fee for the drug. “In fairness, the money I’m using to pay for the drug has come from the kindness of strangers, my family, my friends and my community. Thank you very much to all those people because that’s what’s helping me to pay for this at the moment,” Phelan said. However, Phelan said that it is “scandalous” that the government has not offered to cover the cost of her clinical trial treatment. When you think about it, they are at fault for my misdiagnosis and I’m the one paying for my treatment, it’s scandalous. Speaking of whether she will challenge the government over the lack of support, Phelan said: “I’m at the stage where I can’t fight anymore. I’ve done my fighting, I’ve fought to get access to the drug, I fought during the court case and at this stage, I really need to focus on my treatment. I did have a word with my local TD to have a word with [Minister for Health] Simon Harris about trying to organise something so I don’t have to pay for the drug, I really don’t think I should be paying for it at this stage. That is the least they should do, but needless to say, nobody has contacted me to offer any of that kind of help. Earlier this afternoon, the HSE confirmed that 17 women whose cases were reviewed as part of an audit into the CervicalCheck controversy have died. Additionally, the probe carried out by the HSE’s Serious Incident Management Team has found that of the 208 cervical smear result cases being scrutinised (which increased from 206), only 46 women were told about the history of their smear tests. Reacting to the news of the 17 women, Phelan said: “I’m actually very upset, to be honest. To think that there are 17 women… It’s bad enough to know there were three, now there’s 17, so I’m quite upset. It’s disgraceful. I really didn’t think I would be waking up to this morning to this kind of news. Speaking to TheJournal.ie last week, CervicalCheck director Professor Grainne Flannelly said that she empathised with Vicky Phelan’s situation. It did take a long time, we deeply regret that it took a long time for this lady to be told. Email “Vicky Phelan: It's scandalous government hasn't offered to pay for my cancer treatment”. Feedback on “Vicky Phelan: It's scandalous government hasn't offered to pay for my cancer treatment”.